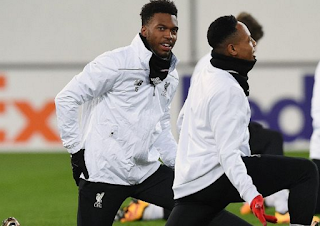 Thommo: Forget Sturridge. 'Brilliant' £30m Liverpool star was more 'important' vs. Villa. Agree? Liverpool are still basking in the glow of Sunday's 6-0 thrashing of Aston Villa, and as usual, Daniel Sturridge is getting all the plaudits for his goalscoring return from injury. A day after the game, Jordan Henderson engaged in some typically nauseating ego massage, and publicly hailed Sturridge as 'world-class', but according to Reds legend Phil Thompson, Phillipe Coutinho was the real star of the show against Villa. "Much of the hype was around Sturridge, but Coutinho was the creative spark in the final third. The movement between the front three was terrific". £30m-rated Coutinho grabbed two assists during the game, and since returning from injury, he's contributed 3 goals/assists in 2 games, and he'll hopefully continue to contribute regularly until the end of the season. A fully-fit Coutinho - hailed as a 'brilliant player' by Jurgen Klopp - is a definite asset for Liverpool, but Sturridge is by far the more consistent and effective player, and as he's proven time and time again, he'll score goals irrespective of who's in the team. Conversely, since signing in 2013, Coutinho has undergone regular barren spells, but with 11 goals/assists already this season, the Brazilian is well on the way to achieving surpassing his (admittedly average) personal best of of 14 goals/assists in one season (all competitions). Given a choice between the two, I'd take a fully-fit Sturridge ahead of Coutinho every day of the week. 62 goals/assists in 75 games? It's no contest. On a related note: Sturridge trained with the first-team on Wednesday evening, and he's obviously in the frame for Thursday's game. Playing him is a big risk, though, and another injury could derail Liverpool's season (yet again).